Have you ever woken up on a Saturday morning and looked out of the window and thought what a beautiful day for a walk out in the country if only I didn’t have to….. It is amazing the amount of reasons you can come up with for not doing something which you would probably enjoy if you just did it. Despite loving to walk I can procrastinate just like anyone else. 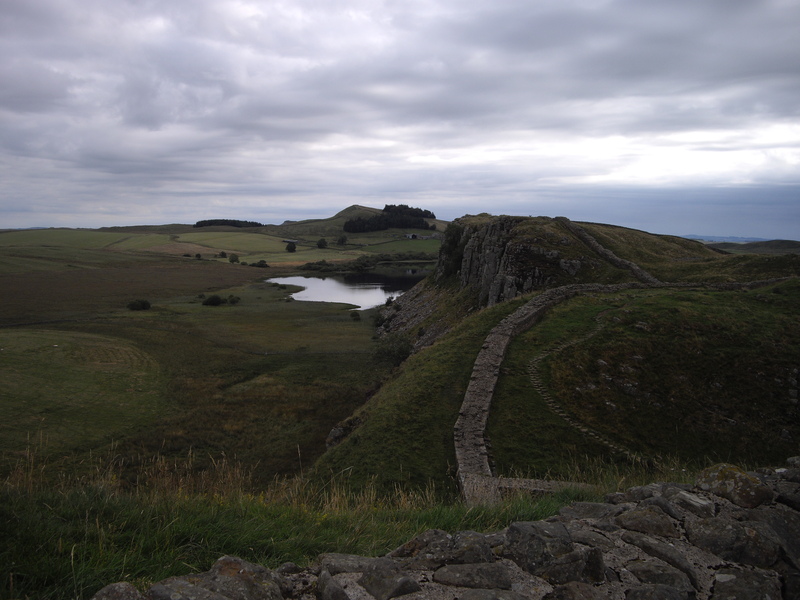 I planned to walk Hadrian’s Wall for at least 2 years before I just did it. One day I decided that this year was to be that year. I had the annual leave booked and I hadn’t really planned where I was going so there was no excuse. From that moment I got on my computer, set up my little spreadsheet to plan the trip and that was it. I never wavered from my determination to do it from that point. I can’t explain why we procrastinate but you have to flick that switch on in your mind. One of the mostly likely times to procrastinate is through the winter months. It is very hard to feel like going for a walk when it’s dark and damp outside. I have already decided, planned and booked accommodation to walk two national trails next year. The Great Glen Way in Spring and the Cleveland Way in Summer. In order to be fit enough to do both trails I need to retain and improve on my fitness through the winter months. To be honest I am worried that my ability to procrastinate will take over and I will find myself in Spring having not walked further than around the shops. I desperately need that switch well and truly on in my mind to keep me motivated. The ironic thing is that when I’m determined to do something I am so conscientious that when a real and valid reason for not walking comes up it sends me into an almost panic. It is very true that like most sports the more you hike the more you want to and we trained a lot for the three peaks. On the weekends we had off I thought about nothing else but training. I just couldn’t relax. There has to be an even balance between the two and as yet I have not conquered that one. On a few occasions I have continued to do planned walks despite weather conditions. I have some of my best memories from some of those walks. One winter morning a couple of years ago I woke up to a beautiful sunny morning after a few days of snow. Despite my apprehension to drive out on the snowy icy country roads I packed by rucksack with hats, gloves, extra fleece and a flask of hot coffee and set off. The sun went in almost as soon as I set off but I kept going. I only went up to Shining Tor which is not too far from home. It was really great walking in the snow. I knew the path was safe and I knew the walk well so I didn’t worry about that. Walking in the snow takes more effort and a wonderful way to get fit! Although that walk is only about 4 miles by the time I got back to the car I felt like I had walked doubled that but I felt really good. I have been known to push things a little close for comfort and a sorry to my son for putting him in the next two scenarios. One weekend my son and I thought we would walk up Shining Tor via another, steeper and therefore more challenging route. When we set off all was great. I could see that the clouds were on the hill top but fully expected the clouds to lift before we got up there. As we walked up the hill we started coming into the snow line. There wasn’t any snow at home so I hadn’t been aware that there was lying snow on the ground up here. Still snow on the ground is fine, we were still safe on this path. Then the clouds came down more and the visibility became very difficult. This was a new route for me and I had a map but that was useless in zero visibility. I do always carry a compass and I was beginning to feel that I was going to need to use it when suddenly I could hear voices. We started walking in the direction of the voices and came up to the more familiar path. Up here in the clouds there were loads of walkers. I couldn’t believe it. We had a similar scenario with low lying clouds twice walking up Scafell Pike. My son is yet to see the top! On another occasion my son and I set off up to Kinder from Edale. It was freezing cold on this particular day and as we got further uphill our planned route became hazardous. The footpath had eroded and we would need to climb over the rocks. You have to be sensible, it was icy and I was not going to risk that with my son so we turned around. We passed a few lads that were making a brew up there which was really appealing! When we returned to Edale we stopped in the visitors centre. They took one look at the both of us and suggested hot drinks. These walks were very definitely memorable and I actually quite enjoyed them….not sure about my son! You learn something on every walk you do so I just need to always carry a GPS to find my way in low cloud, carry a little stove to make hot drinks plus stick to familiar routes. I can’t say whether I will succeed in my endeavour to keep walking over the winter but I hope so. I really do enjoy walking. Now where is that switch in my mind? Oh and the picture was taken on August Bank Holiday! 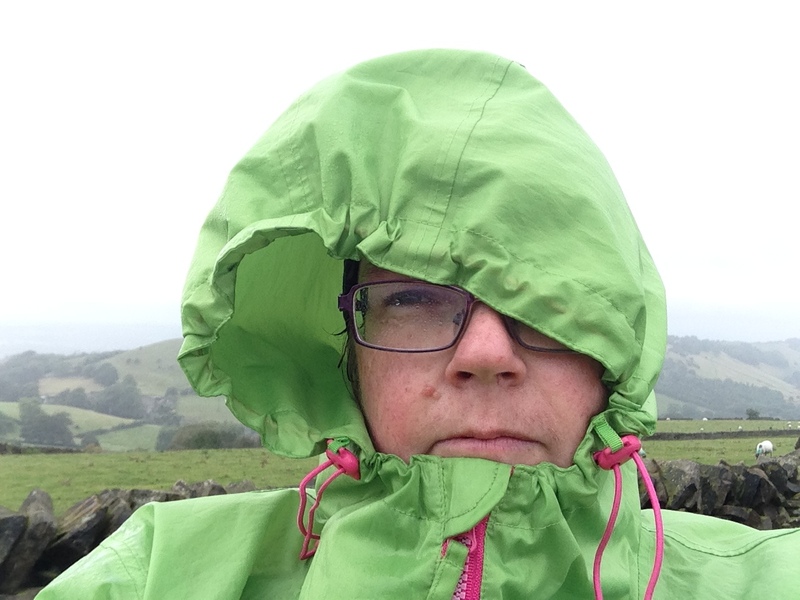 Posted on September 14, 2015 Leave a comment on This fat lady can walk Hadrian’s Wall! Many years ago there was a television programme on Channel 4 Called “Too Fat to Walk”. When I watched that programme I was filled with admiration and complete amazement at those who took part. It also planted a little seed of thought. Whatever my weight I could walk; and I don’t mean just round the corner. As a kid I loved sports but as I got older I felt that my weight stopped me from doing what I wanted. Like many women in their early 50s I’m overweight – quite a lot overweight I admit it. I’ve tried every yoyo diet out there but this isn’t about diets – it’s about feeling good and enjoying something that I wanted to do whatever my BMI was, or my age. About five years ago I was walking up a little hill near my home and I was shocked by how much I struggled. I thought ‘what has happened to me?’ I was even prepared to accept that this was my life from now on. However, I did decide that I would try to do a little bit more exercise and get a bit fitter. My idea of a little exercise was a little exercise, but then I had this absolutely crazy idea: totally off the scale crazy. At work they wanted to do the Three Peaks Challenge and I decided I wanted to as well. The first walk we did I thought I was dying going up Helvellyn. If it wasn’t for the fact that some of the younger walkers had been drinking heavily the night before and struggled as well then I think I would have given up. Except, I didn’t actually feel like giving up. I’ve always said that it might take me a long time but I’ll get there. I soon realised distance wasn’t the issue; it was the incline that was my problem as at the end of the walk I felt great. 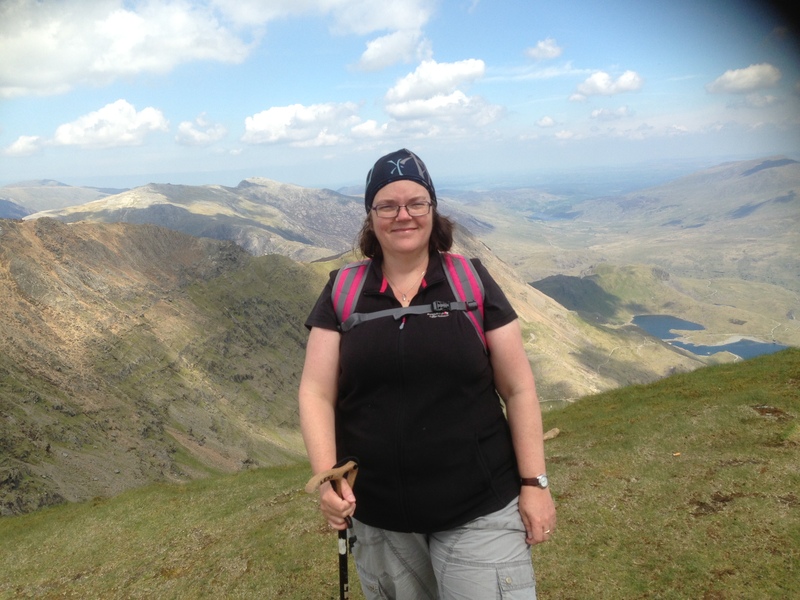 We did a lot of other training walks and I got to go up Snowdon and Scafell several times, getting fitter every time. The total elation I felt on reaching the top of those mountains was amazing. For the actual challenge I fell and hurt myself on Ben Nevis. Then a friend of my daughter, a young fit experienced walker died walking on Snowdon round about that time. That put me off walking for a while, plus by this time my kids had left home and I’m a single so I really wasn’t sure it was sensible to walk on my own. One beautifully sunny Sunday I randomly decided to walk up Kinder Scout from Edale. It was on that day I realised you are very rarely on your own out walking. Not in the Peaks anyway. It was a lovely day but there were so many walkers up there that when it came to stopping for a lunch break I struggled to find a rock to perch on. From that point I stopped worrying about being on my own. I’m sensible and always text my son or daughter my route when I start and confirm with them again when I’m finished – It’s not about being careless. 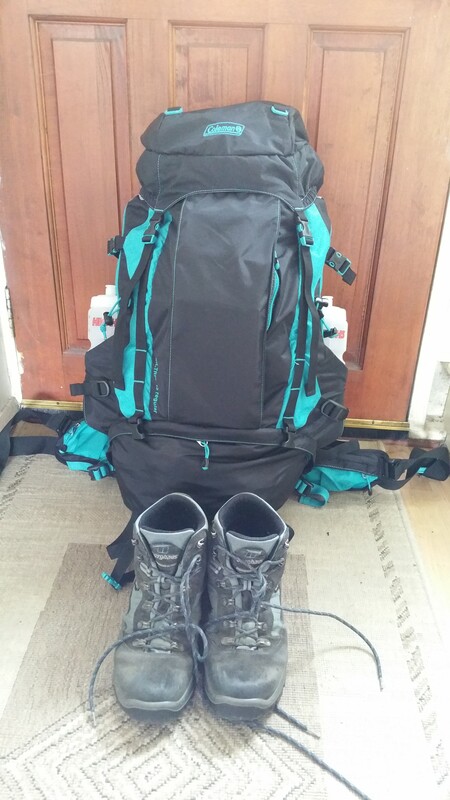 A couple of years ago I started wanting to do one of the long distance walks. It’s taken me a few years to get to my current fitness but I finally feel I’m ready. It actually doesn’t matter if I do it or not; it’s the walking and the scenery I enjoy. It doesn’t matter how long I take. I’m still very overweight so on really steep hills I have to pace myself. I just tell myself I will walk so many steps and then I’ll stop to get my breathe back and I can look at the view. If I’m aiming to walk a long distance I very rarely look at the distance until i‘m nearer the end of the walk: I judge how far I can walk on how I’m feeling. Occasionally I get the odd comment from other walkers who see my weight first and think I’m crazy. I might be but I love it. Plus as my doctor said to me this week ……keep on walking! Posted on August 13, 2015 1 Comment on This fat lady can walk!